I’ve installed three different linux variants in virtual machines in the past week. One, LinuxMint based on Ubuntu, crashed repeatedly, so I deleted it. Another, CentOS with a command line UI, does not seem to be connecting to the network. So I went to Zorin, which I have used for years with relative success. It installed, connected to the network and seemed to be stable. There is a new version, version 12. It has a new software management application. I decided to use it to install a new software on the OS, a database that I work with (MongoDB). I chose mongo33 (indicating the version package) and clicked install. Up came this dialogue box prompting me to log into “Ubuntu One”. Zorin is an overlay on top of the Ubuntu version of linux, and apparently is using Ubuntu One’s app store “under the covers”. So I created an Ubuntu One account. Then I tried to log in, back on the “install and remove snaps” dialogue, and it rejected my login. 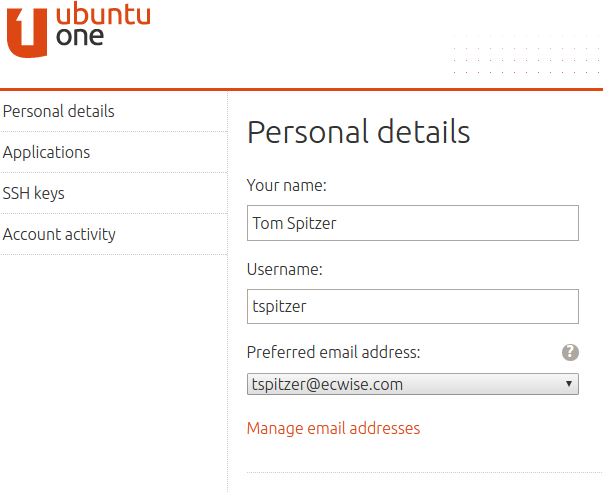 I tried to login several times, unsuccessfully, then went back to the Ubuntu One admin page and changed my password. Then I tried to login again, and it rejected me. 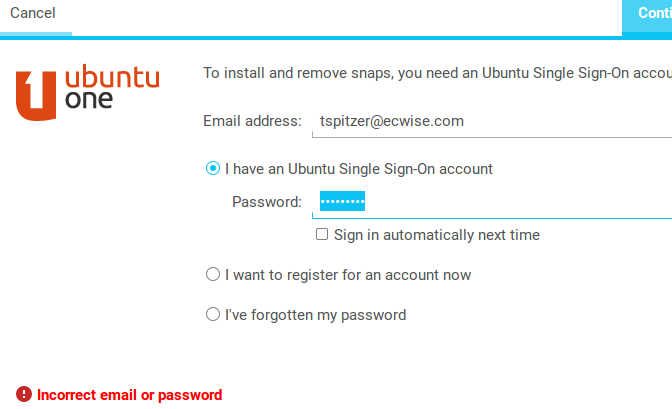 However, I was consistently able to log into Ubuntu One from their web page, just not from this “install and remove snaps” dialogue. After going around and around in circles for about forty minutes, I decided to try looking on a forum for an answer, since I couldn’t be the first person to face this challenge. Of course, before I could, I had to create a new Stack Exchange account (for the life of me I thought I had one). Next I learned how useful the Stack Exchange forums could be, which wasn’t exactly what I wanted to accomplish today. I started to enter a question, and as I did it analyzed my question and suggested previous posts that might answer it. So, we’re back to the Linux terminal, which is actually fine with me. I did what it suggested and voila, it worked immediately. So much for fancy GUIs and app managers on top of linux.